Paint your home in these colors and boost the value by over $6,000. Painting a home in the right colors can have a significant impact on its sale price. According to a 2018 Zillow® analysis, homes with black or dark gray front doors, “tuxedo kitchen” cabinets (a white or light color on the top cabinets and a darker color such as navy or dark gray on the bottom cabinets or island) and blue bathrooms in shades of periwinkle or lavender blue could make you more than $6,000 richer. “Zillow’s 2018 Paint Color Analysis looked at more than 135,000 photos from sold homes around the country to see how certain paint colors impacted their sale price on average when compared to similar homes with white walls,” per Zillow. 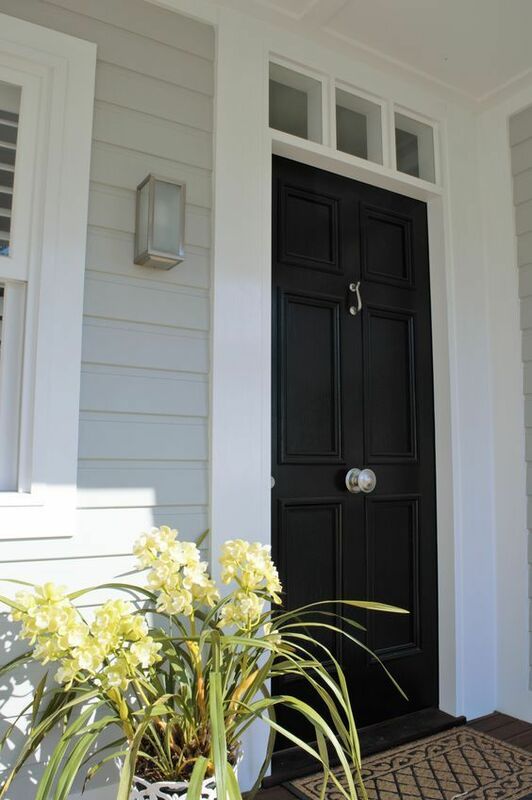 Zillow notes that “homes with black or charcoal gray front doors sell for $6,271 more than expected, the highest sales premium of all the room and color combinations analyzed. Tuxedo kitchens, or kitchens where the upper and lower cabinets are painted in two different colors, sell for a $1,547 premium. White cabinets contrasted by a dark navy blue or black kitchen island were some of the most common tuxedo kitchens in top-performing listings.” per Zillow. Bathrooms with cool, neutral wall colors like blue sold for much more than expected. However, some paint colors might actually discourage buyers. Homes with colors like brick or raspberry red kitchens sell for $2,310 less than expected. Homes with yellow exteriors also sell for less. Choosing your perfect paint color is one of many reasons why a home sells for more money. Walls painted in modern, neutral colors have broad appeal and may indicate to a potential buyer that the home is well cared for or has other desirable features. Be sure to ask a real estate color expert or a home improvement company who specializes in prepping homes to sell if you want the best bang for your buck. Did this help? Please comment below.